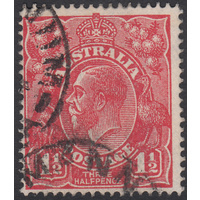 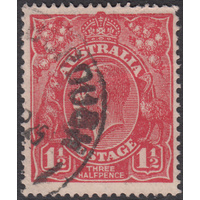 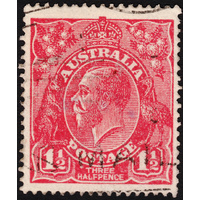 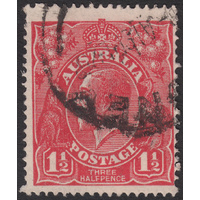 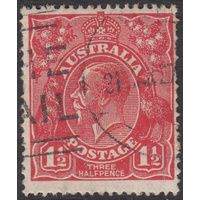 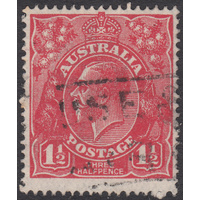 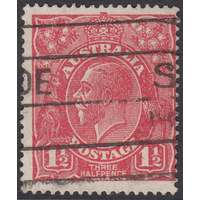 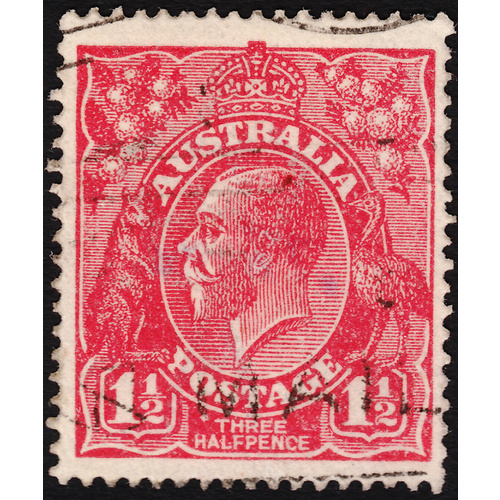 Australia KGV 1926, 1&1/2d Red, Single Wmk, variety 27/28L52, (Circular spot in Central Value tablet at left of T of THREE) in Good Used condition with no faults. 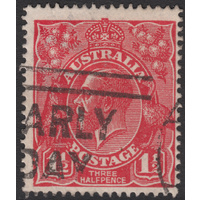 Reasonably centered with a slogan cancellation just clear of the variety. 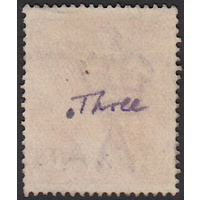 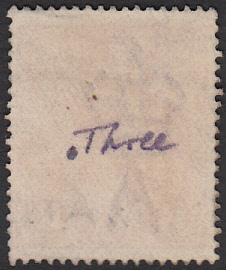 Dealer's annotation on the back of the stamp. 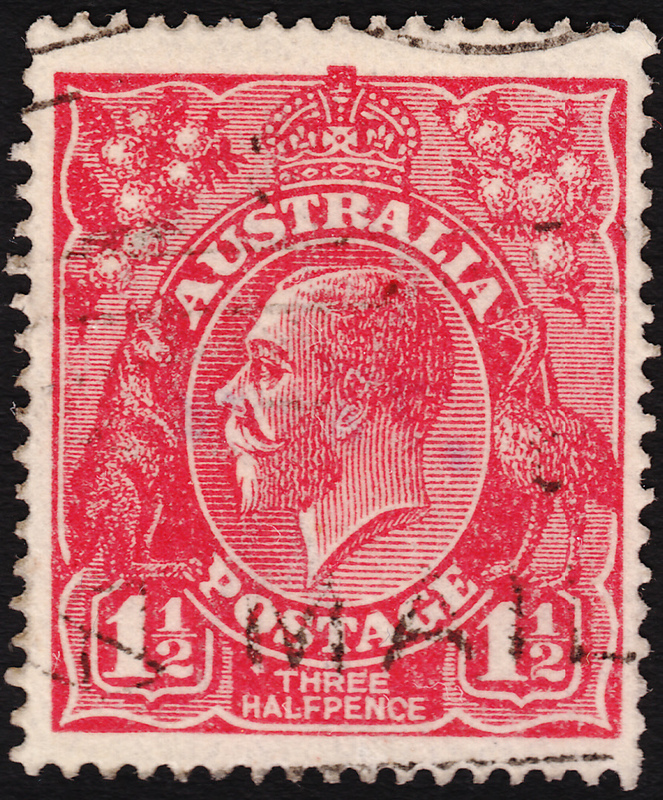 BW 89(27)e.